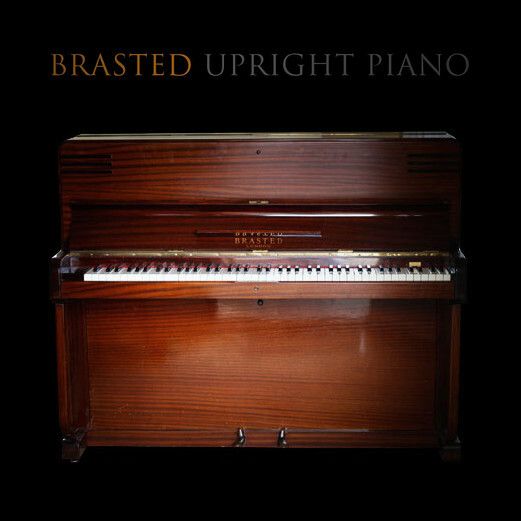 Brasted Broken Upright Piano is a 24 bit multi-sampled imperfect upright piano that includes 4 microphone perspectives, true staccato and true crotchet articulations, effects, piano body wood knocks, seat and lid sounds, totaling just over 11,000 samples. As with all imperfect samples' instruments, the emphasis is placed on a realistic and imperfect performance. The sounds of the fingers tapping the ivory keys, the pedal, subtle mechanical sounds, keys hitting the felt above the keyboard, have all been recorded, in order to preserve as much of a life-like performance as possible. This is what is referred to as "imperfect". The Brasted Broken Upright is appropriate for haunted or horror music, and on any track that deserves a unique, broken sound. Essentially 4 upright pianos in one, this upright piano sounds warm and organic, and is suitable for situations where an intimate, and unusual honky-tonk or broken upright piano sound is required. One of the major benefits of Imperfect Samples' Brasted Broken Upright, is its additional microphone perspectives. Microphone perspective 1 was recorded 2 inches from the soundboard, for a warm sound from the player's perspective. Perspective 2 was recorded inside the lid, for a clean sound. Perspective 3 was recorded 2 metres away from the grand, to capture the room sound. Perspective 4 was recorded far away, in a hallway, for a wet "hall" sound. These four microphone perspectives provide very different sounds, but have identical start times, which means this sample library can be mixed like a live grand piano. This instrument is provided in 3 versions, the largest of which totals just over 30GB data. 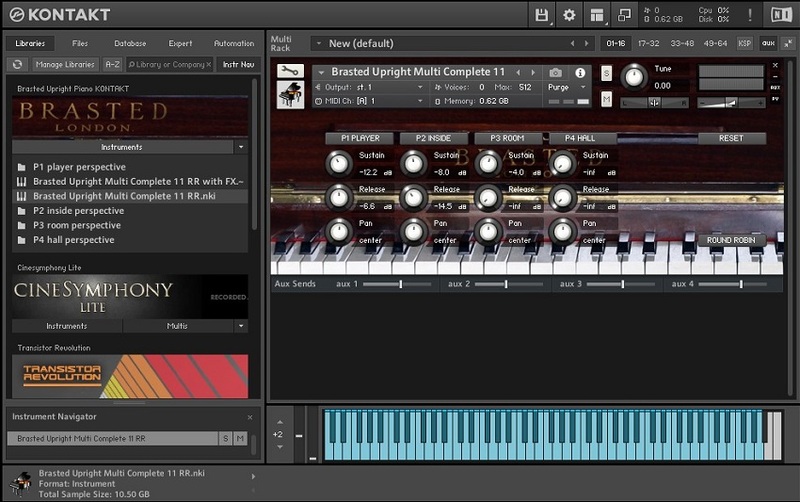 Multi-Sampled Instrument with performance sounds. Full Length Samples, no loops.